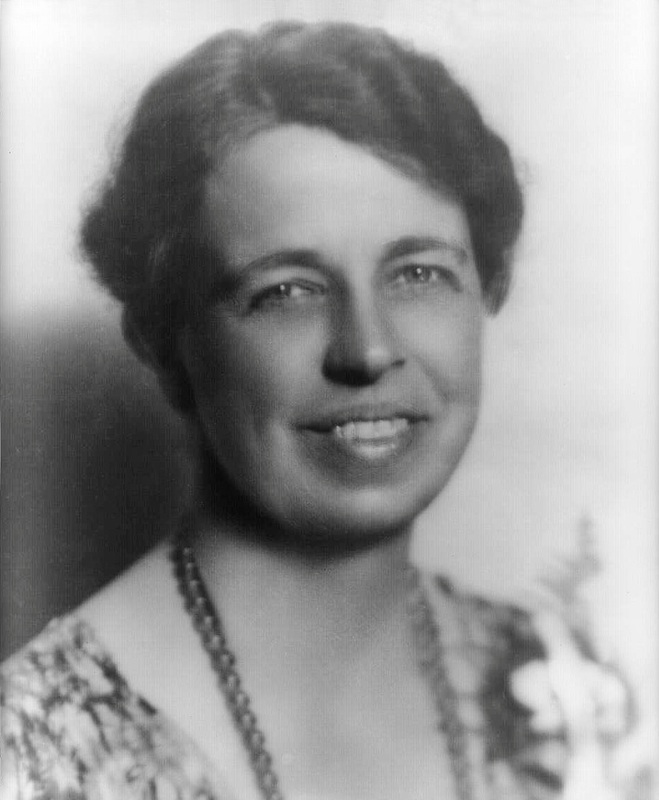 Anna Eleanor Roosevelt was born 12 October 1884 in Manhattan, New York, United States to Elliott Bulloch Roosevelt (1860-1894) and Anna Rebecca Livingston Ludlow Hall (1863-1892) and died 7 November 1962 in Manhattan, New York, United States of unspecified causes. She married Franklin Delano Roosevelt (1882-1945) 17 March 1905 in New York, United States. Notable ancestors include Robert I of Scotland (1274-1329), Charlemagne (747-814), Hugh Capet (c940-996), Alfred the Great (849-899), William I of England (1027-1087). Ancestors are from the United States, Jamaica, the United Kingdom, Scotland, England, France, Germany, Belgium, Russia, Ukraine, the Netherlands. See note 7144 and earlier notes on http://www.wargs.com/royal/camilla.html.